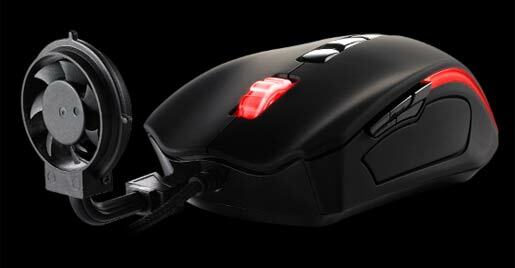 Thermaltake intros Gaming Mouse with a fan! The Black Element Cyclone Edition gaming mouse from Thermaltake has been designed for those long gaming sessions. The fan can alternatively be removed, and the mouse comes standard with a 6,500 dpi laser sensor, an adjustable weight of up to 22.5 grams and a “military-grade” grip coating.